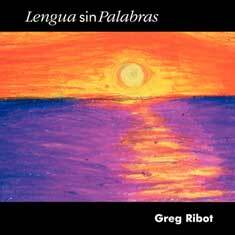 GREG RIBOT’S hot new CD – “Lengua sin Palabras” is out now! Hear soundbytes and puchase at Digitstation!! Composer, Arranger & Bandleader Greg Ribot has been performing and recordng primarily in the New York City region for over 35 years. 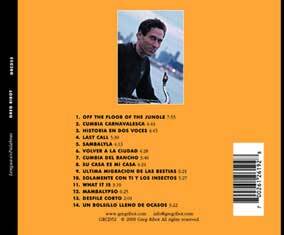 He has produced four CDs, “El Flete de Mi Canto”, “Cumbia del Norte”, “Cumbia y Mas”, and “Lengua sin Palabras”. He has also recorded with Sean Lennon, Marc Ribot and others. The latest CD “Lengua sin Palabras” features original instrumental music using a variety of grooves-Cumbia, Mambo, Danzon. Tango, Joropo and other Latin American rhythms. The music contains many facets due to the varied backgrounds of the musicians, a natural result of working in a multi-cultural environment such as New York. In addition to the Latin American elements there are inflections of Jazz, Blues, Rock and Folkloric. Each song tells a story or paints a picture, but all stay rooted in dance and celebration.